Add-ons are certainly Firefox’s greatest blessing, but sometimes they can also be its worst curse. Unfortunately, installing too many of them may seriously increase the browser start-up and page loading times even when you have some capable computer hardware at hand. Fortunately, Mozilla is finally going to try and assist you in making your add-ons behave themselves. 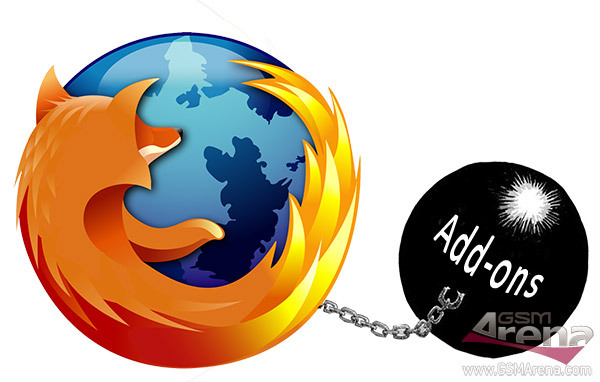 The company says that on average each add-on adds 10% to the start-up time on the Firefox browser so it suggests disabling the ones you are not using. They have also created a list of particularly slow performing add-ons, which you should avoid if you see performance issues. Slow start-up times have been plaguing my affection for Firefox for several years now and it sems that the add-ons I like the most are all in that blacklist. Mozilla will be performing automated performance testing of the top 100 plug-ins every week and will publish the results at its website. The company will also provide tools that developers can use for testing their software. In the near future slow add-ons (ones that increase the start-up time by more than 25%) will be marked with an warning when you try to install them. Also third party add-ons will not be allowed to install extra elements (like toolbars) without your explicit permission. We are really hoping that this will benefit end-users and customizations will no longer mean loss of performance.